• Batch capacity : 70 kg to 350 kg. With experience of more than 30 years in sand coating application and more than 70 installations till date, we can claim that Ganesh Quality Machines Pvt. 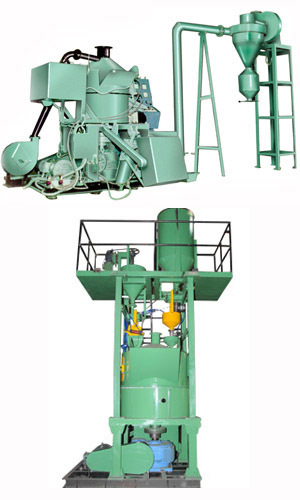 Ltd. is the biggest Manufacturer, Supplier of resin sand coating plant in India. Our team of experts will give you best solution as per your requirement. We can give you complete consulting right from the sand selection, binder selection, level of automation required as well as all supporting equipment for sand coating. We are one stop solution for sand preparation equipment like sand drying, sand cooling, sand Handling, sand sieving. 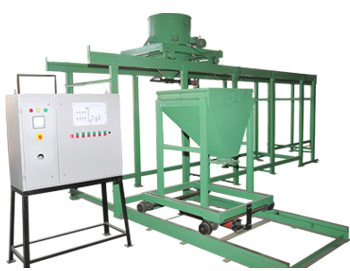 We can design complete flexible plant with automatic weighing and batching system for sand coating. Solid resin sand coating plant has many advantages over liquid resin systems. High strength achieved at lower resin percentage, improved quality, reduced cycle time to name a few. To fulfill the requirement of customers in solid resin system, ganesh has put in research and development effort and come up with best product. We have exported the complete systems to other countries like turkey, iran, south africa. We can design complete automatic turnkey plant with auto weighing system for each binder, SCADA controls and complete sand handling system. 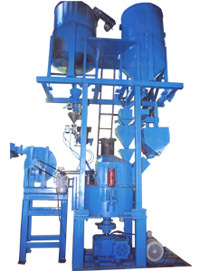 Ganesh quality machines is one stop solution for our customers for the installation of resin sand coating plants. We not only sell our products but we guide our customer to select the proper process. Our team of expert can design complete plant for the customers with focus on flexibility and Process control. Our customers do have a competitive edge over the competitors.